Quick and easy lemon meringue pie recipe from scratch, homemade with simple ingredients. 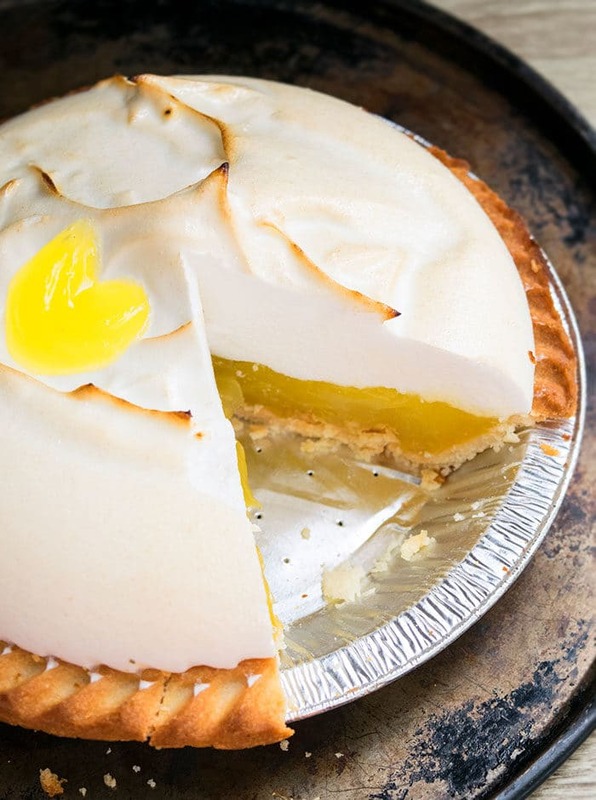 A butter pie crust, topped off with creamy lemon curd and fluffy meringue. This no fail, old-fashioned Summer pie is a classic that tastes so much better than store-bought pies. There are 3 components that come together in harmony: Pie crust, lemon curd filling and French meringue topping. This may be one of the most challenging pies I have ever made. 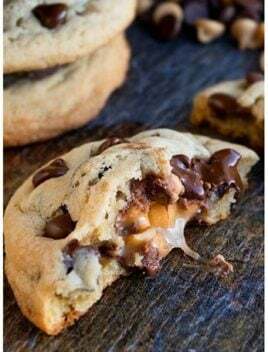 It’s a family recipe but has been tweaked countless times by many different folks since many people in my family love to eyeball ingredients and I just don’t do that… hehe. 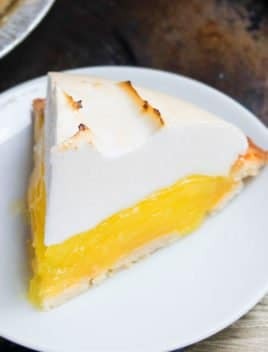 How to make lemon meringue pie? Bake the pie crust and allow it to cool down. Make the lemon curd filling by cooking together water, cornstarch, lemon juice, sugar, zest until it thickens. Use this to temper egg yolks and cook until thick and creamy. Prepare meringue topping by whipping together egg whites, cream of tartar, cornstarch and sugar until stiff peaks form. Then, spread it on top of the filling and bake until golden brown. Chill in the fridge to firm the layers even further and you are done. How do you keep best lemon meringue pie from weeping? 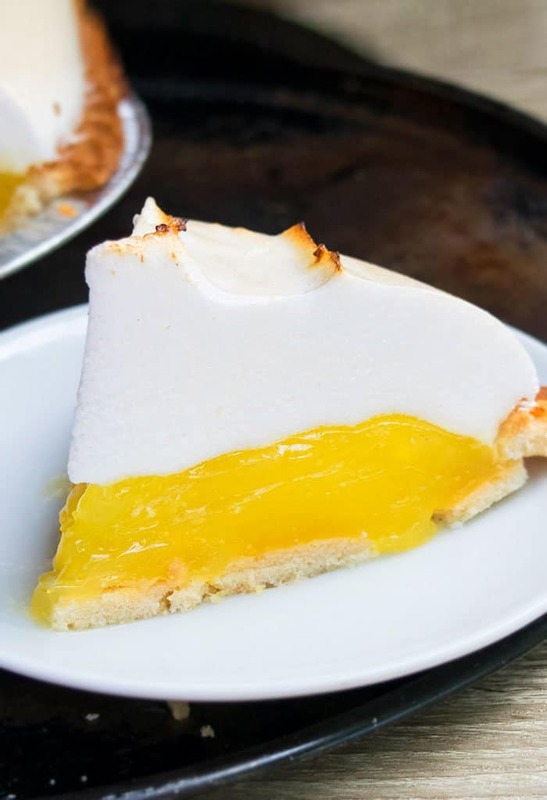 A pie that is “weeping” simply means a watery layer shows up between the meringue and the filling. This is typically caused by an unstable meringue that has been over-cooked or has too much moisture. 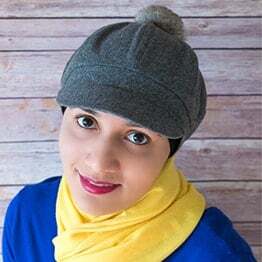 Avoid high humidity days! Make this pie on dry days. The excess moisture in the air destabilizes the meringue. Don’t over-bake the meringue– Because the egg whites obviously shrink during baking and the more you bake, the higher the likelihood of shrinking. 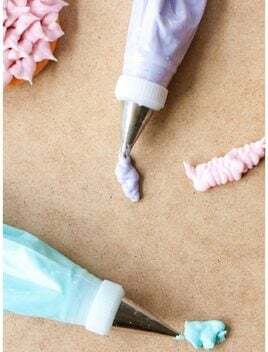 Also, it creates little beads of moisture on top of the meringue. 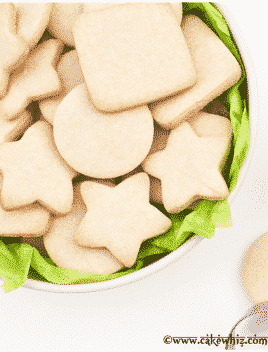 Make sure sugar has fully dissolved– There should be no graininess in the meringue mixture because that can cause weeping during baking too. 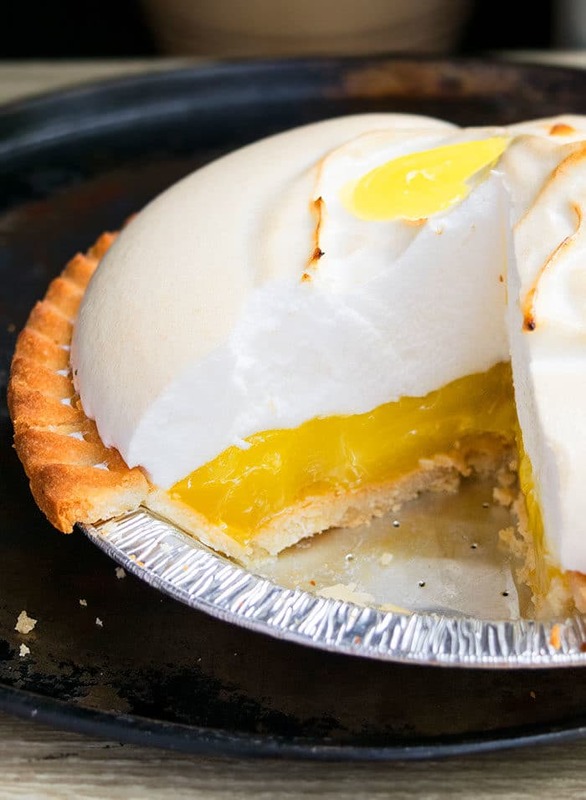 Don’t let the lemon filling cool down too much– It should be warm when you are spreading the meringue on top because the warmth seals the 2 layers together and prevents shrinking and separation. 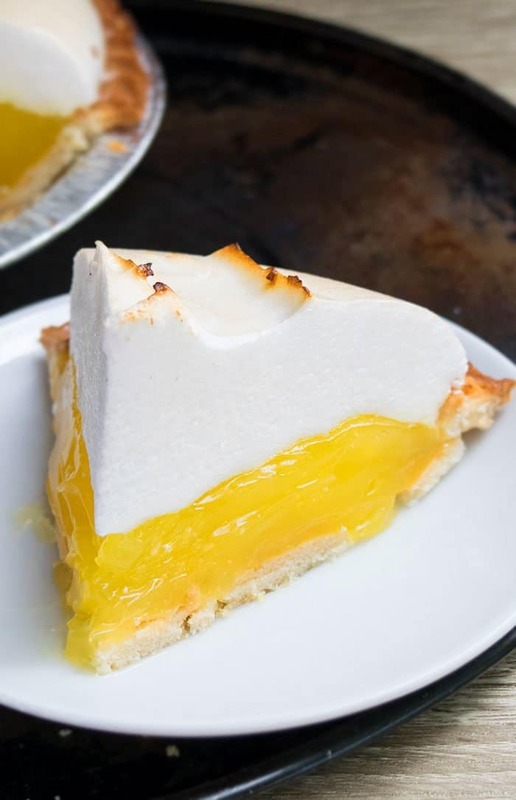 Spread meringue all the way to edge– It should be touching the pie crust because that will also help seal all the layers together and prevent shrinking. Make sure there are NO egg yolks– You only need egg whites. Separate the egg whites and yolks properly. You can use the yolks in the filling. Mixing bowl and mixer attachments should be clean- There should be NO oily residue at all because that prevents stiff peaks from forming. You must use cream of tartar and cornstarch– Both of those ingredients help stabilize the meringue. How do you keep easy lemon meringue pie recipe from getting soggy? Nothing ruins a pie quicker than a soggy crust. You want it to be crisp and flaky. The single most important thing you can do is to blind bake the pie crust. This simply means pre-baking the crust without any filling, until it’s golden brown. Doing this ensures the crust stays crisp when a filling (that requires no baking) is added to it. Can you put homemade lemon meringue pie in the fridge? Yes, you have to do this. Once the meringue has been browned in the oven, it should be cooled to room temperature and then chilled in the fridge for at least 6 hours to ensure all the layers firm up. What is the difference between lemon curd and lemon pie filling? They are both similar in flavor but but the pie filling texture is thinner than Lemon Curd. Also, the filling is thickened with egg yolks and cornstarch while the curd uses only egg yolks. 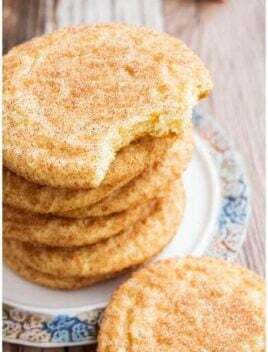 Homemade or store-bought pie crust– Either can be used. 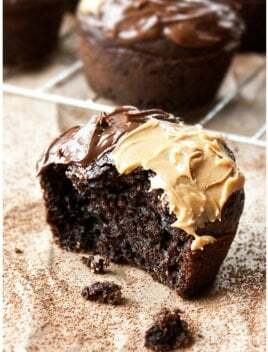 I like to use the frozen ones and bake them because it’s just convenient. Homemade or store-bought filling– Again, either can be used. My homemade version obviously rocks and is so fresh! Use room temperature egg whites for meringue- Because they whip faster and to a greater volume than cold egg whites. Tempering egg yolks– This is a technique that my Mom had to teach me. You CANNOT add all the egg yolks at once into the hot lemon mixture because that would cook them and scramble them. Instead, you have to start off by SLOWLY whisking some of the lemon mixture into the egg yolks and then gently adding this new egg yolk mixture into the remaining lemon mixture and cook, while constantly whisking until filling is thickened. Add yellow food coloring– Sometimes, I add a few drops to enhance the yellow color of the filling. It’s optional. 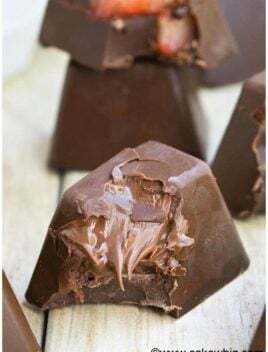 Strain the filling onto the pie crust– This is optional but my Mom does it and says that it really smooths out any little lumps in the filling. I usually don’t do it. Use unsalted butter– Because this prevents the pie from becoming too salty. Use large eggs– I have dried other sizes but they don’t yield the same stabilized results. Use a different type of crust– Try this no bake Graham Cracker Pie Crust. You can also use a no bake pretzel crust. Make mini pies– Use frozen mini pie shells and bake them until golden brown. The rest of the steps are the same.